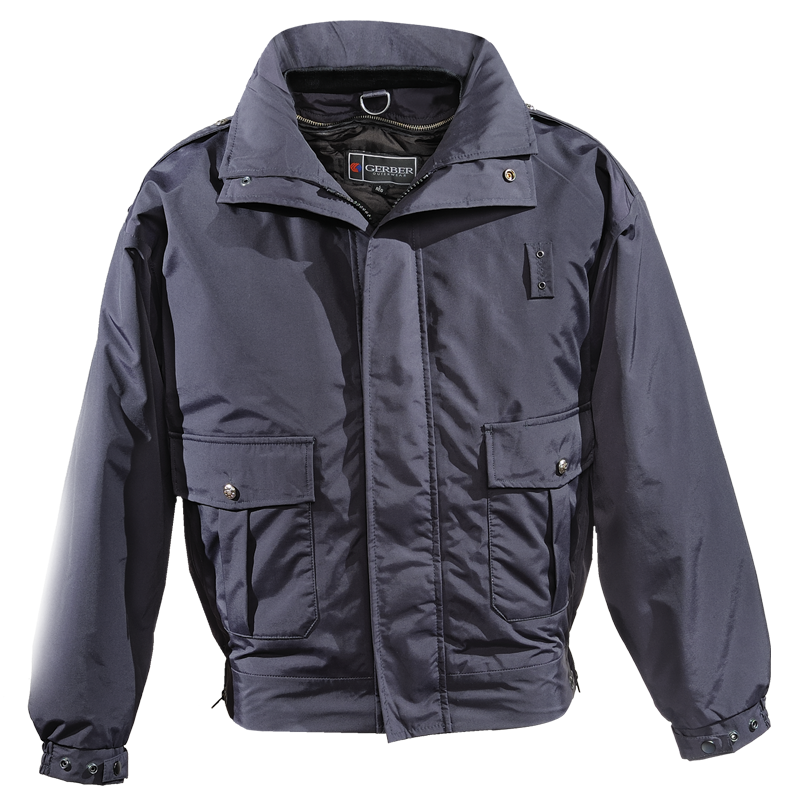 Waterproof breathable duty jacket with an elasticized shirred waistband. Two patch pleat pockets with scalloped flaps and fleece hand warmers. Removable Thermaguard quilt liner. Side equipment zippers with keeper tabs. Stand up collar, double storm flap front and military epaulets. Concealable hood folds into zippered pocket on the under collar.